Something stopped Nita's hand as it ran along the bookshelf. She looked and found that one of the books had a loose thread at the top of its spine. It was one of those So You Want to Be a... books, a series on careers. So You Want to Be a Pilot, and a Scientist . . . a Writer. But his one said, So You Want to Be a Wizard. I don't belive this, Nina thought. She shut the book and stood there holding it in her hand, confused, amazed, suspicious -- and delighted. If it was a joke, it was a great one. If it wasn't...? 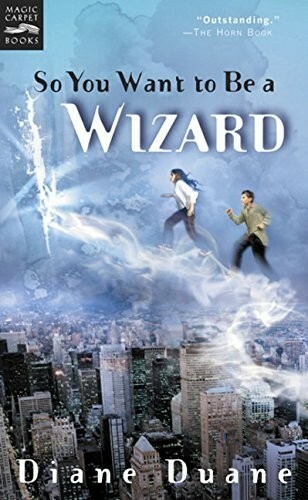 In the spirit of Madeleine L'Engle's classic A Wrinkle in Time, this is a fascinating and powerfully involving story about two lonely kids who are inadvertently caught up in the never-ending battle between good and evil. 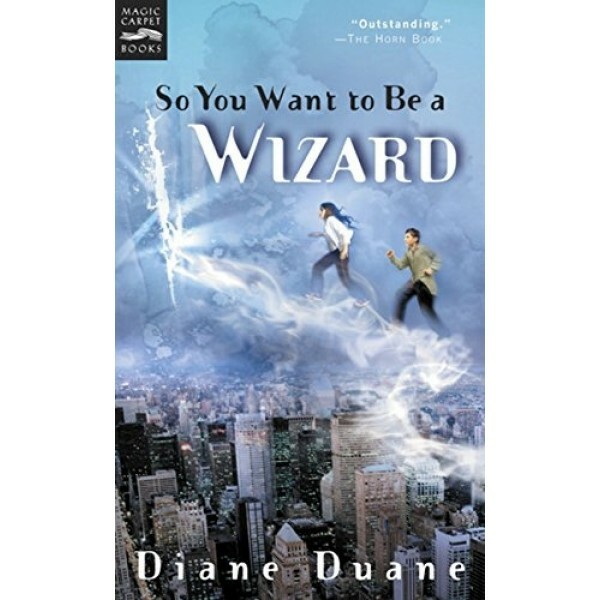 The problems of everyday adolescent life and the mysteries of magic are perfectly blended, along with plenty of humor and suspense.